A memorial page is a meaningful way to celebrate the life of a beloved person or pet and pay tribute to the love you continue to feel for him or her. Donations made in remembrance honor their memory by helping ensure a better life for animals, giving hope and life to those still in need. Create a personal fundraising page and share it with your family and friends. You can personalize your page with your own message and pictures. 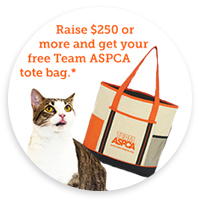 Every dollar you raise through your page furthers the ASPCA’s groundbreaking work and help builds a more humane country for all animals. You also have an option to add any video from YouTube.